Sony also announced the NEX-5N and NEX-7, and I will talk about the NEX-7 first. 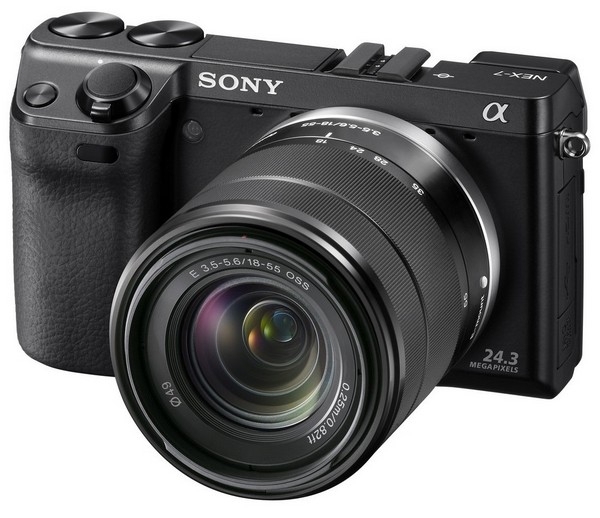 The NEX-7 is Sony's attempt to create an NEX camera catered towards the enthusiasts, and boy did they pull no punches. Firstly the NEX-7 takes a few features from the new SLT cameras: The 24 megapixel sensor and the XGA OLED EVF. That is right, a camera this small comes with a built-in EVF. To top it off, Sony has managed to squeeze THREE command dials (you can see two of them behind the shutter release in the photo above), a hot shoe, AND a pop-up flash. That is it. I think the other camera makes have no excuse for not including all the above in their flagship mirrorless cameras. Three dials in particular is awesome, with the third dial controlling ISO in shooting mode. I have been wishing for this for the longest time, and it took an outsider (Sony) to implement this. Shame on you, Nikon and Canon. The rest of the camera is pretty nice, with a magnesium alloy body, 3" VGA tilting LCD, 1080p videos at 60 FPS in AVCHD (again, like the SLTs), ISO range of 100-16,000, and a new UI that is hopefully a lot less annoying to use than the NEX-3 and NEX-5. All that is not going to come cheap, with the NEX-7 going for US$1,200 body only, and US$1,350 with the 18-55 kit lens. The NEX-5N is basically an upgrade of the NEX-5, with a new 16 megapixel CMOS sensor, upgraded AF, and 1080p videos at 60 FPS in AVCHD. The UI has also been revamped, but is aimed towards beginners and those not familiar with photography terminology. As with the NEX-5, the flash unit is a small external unit, and there will be a snap-on EVF similar to that of the NEX-7's built-in EVF, with a XGA EVF. Available in September for US$600 body only, and US$700 with the 18-55 kit lens. 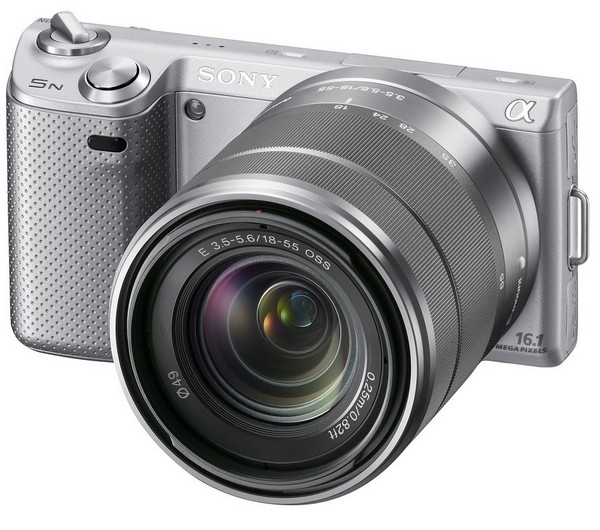 Photo of the NEX-5n after the break.